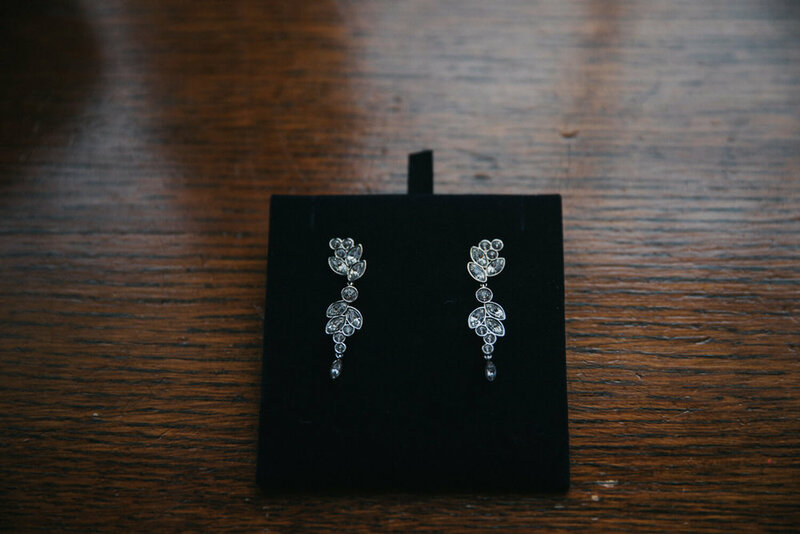 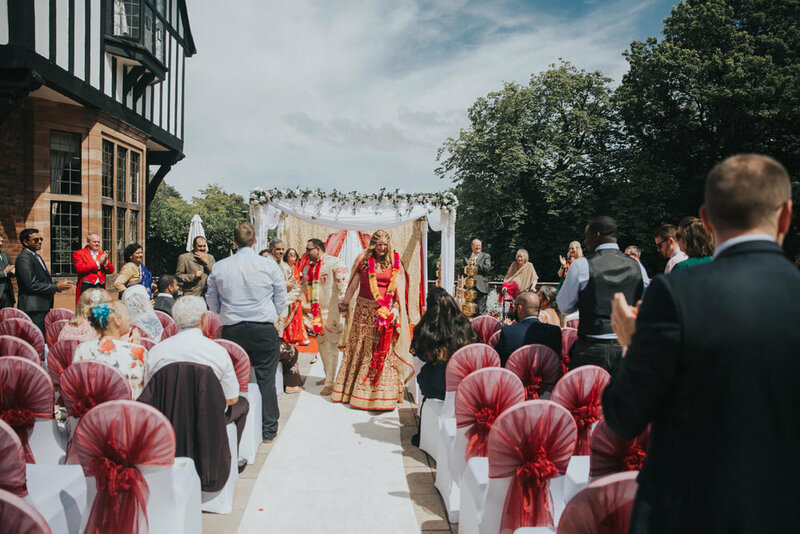 Earlier this year, we had the total privilege of being invited by Louisa & Naveen to photograph their Anglo-Indian wedding at Inglewood Manor, Cheshire. 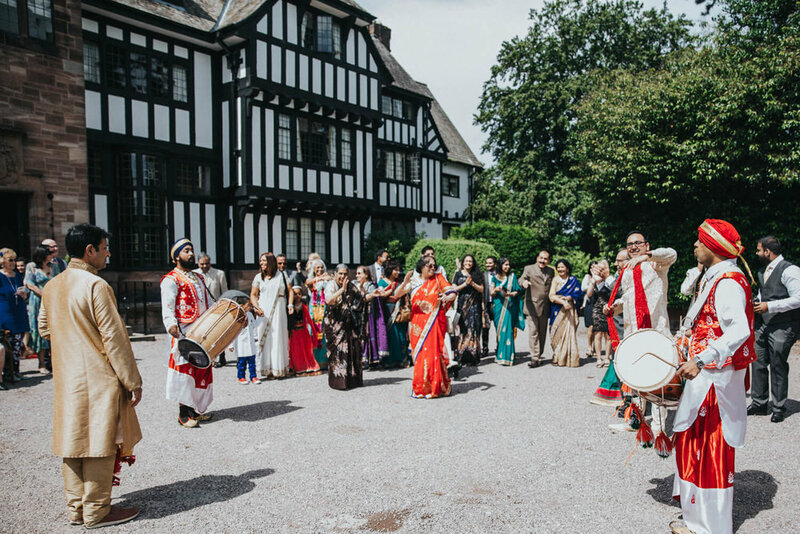 Louisa and Naveen were having two wedding ceremonies on the day, beginning with a traditional Indian Milni ceremony which saw the coming together and celebration of both families played out to the drumming of Ravi and Gurdev from Apnabeat before having a traditional Indian wedding ceremony followed with a traditional English wedding ceremony. 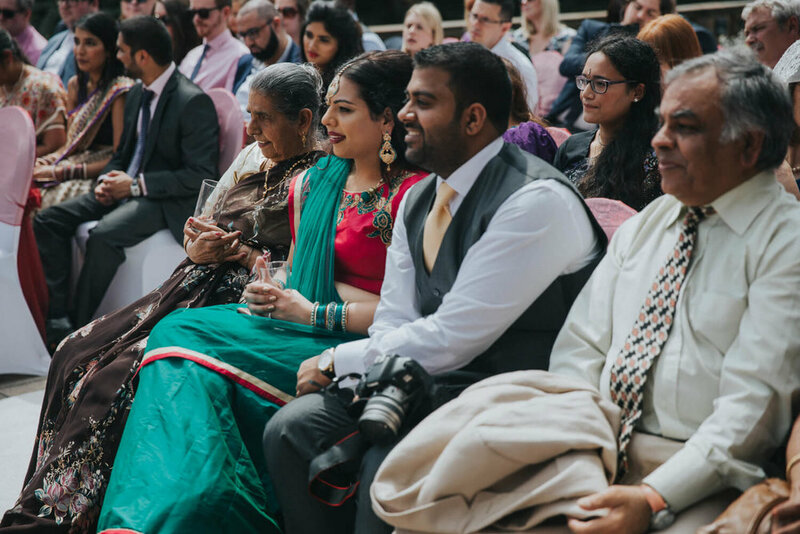 It was a gorgeous day at Inglewood Manor and so Louisa and Naveen were lucky to have both their English and Indian wedding ceremony outside on Inglewood Manor's terrace. 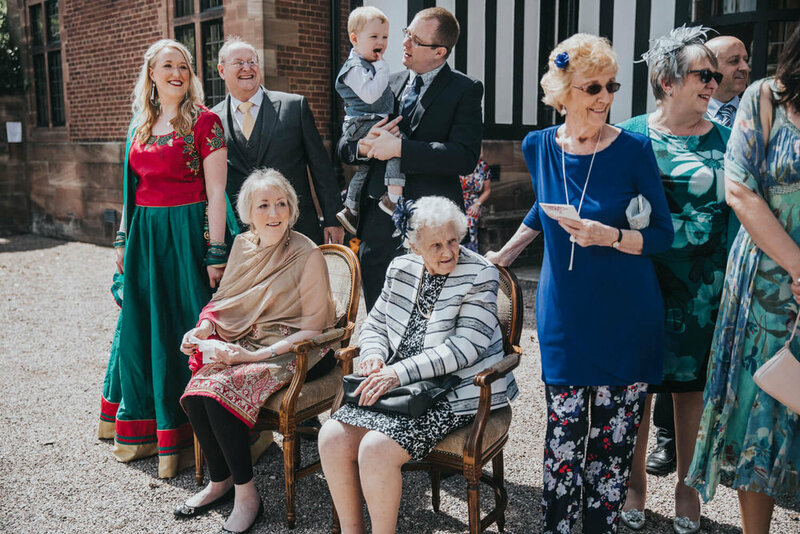 The celebrations began at midday on the pathway leading up to Inglewood Manor. 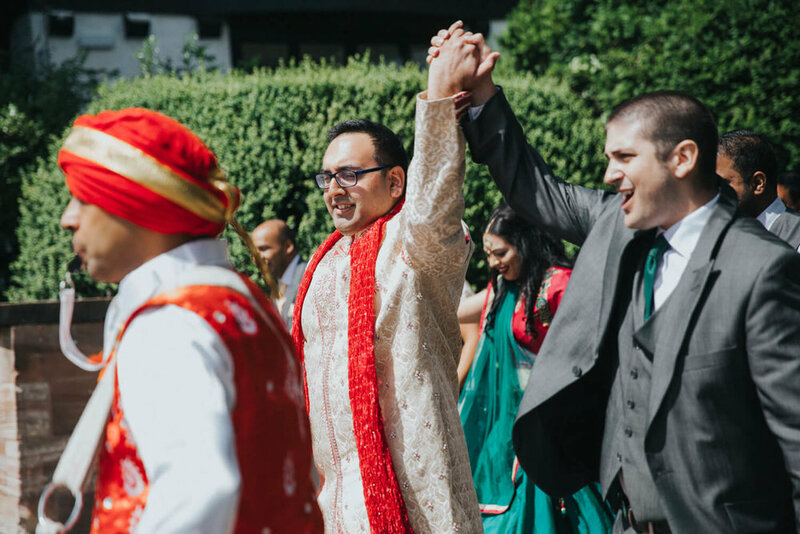 Naveen's family headed down in a procession (to the beat of Apnabeat's drum) to meet Louisa's family who had gathered outside of the hall. 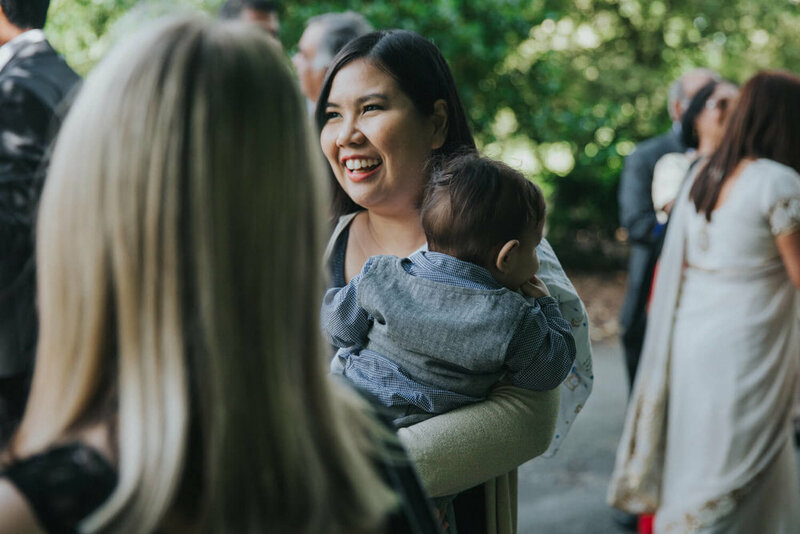 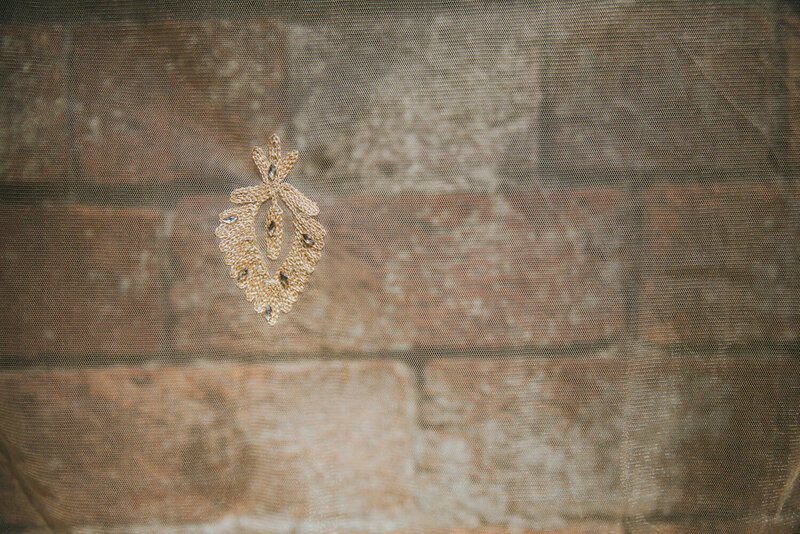 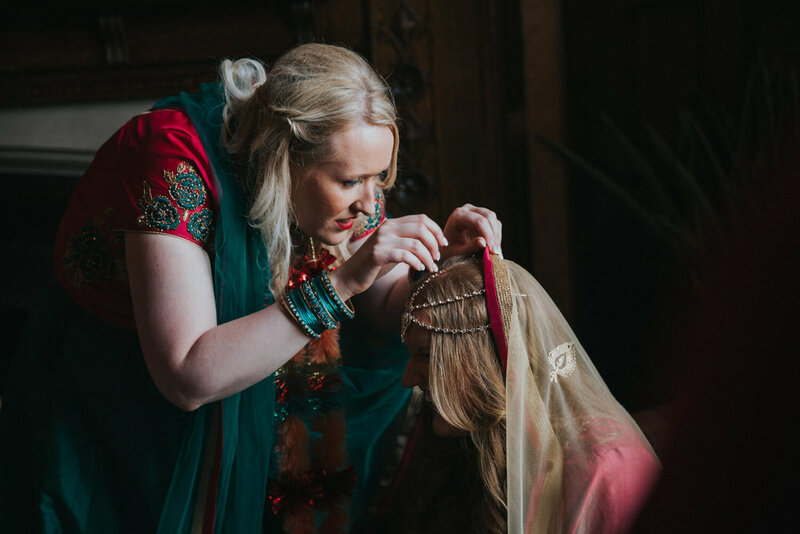 It was our first Indian Milni ceremony and we had a great time photographing it! 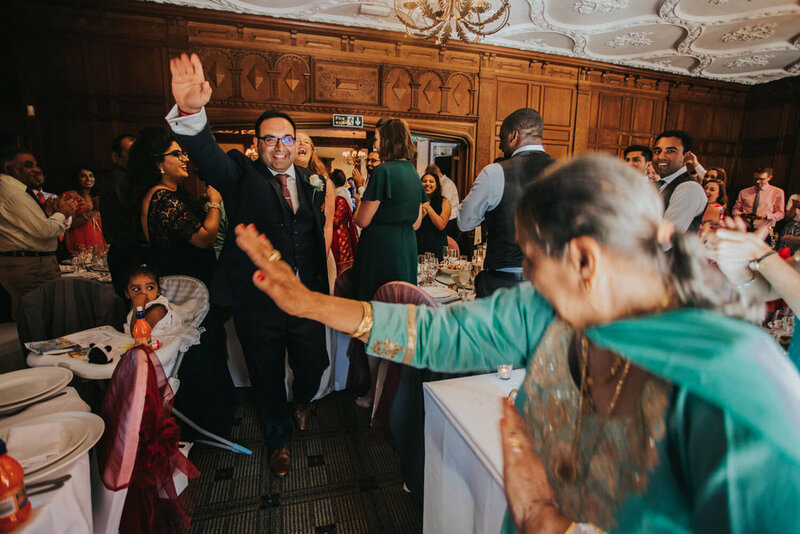 We loved experiencing the family procession towards the hall with Nav and his family - seeing everybody dancing was brilliant! 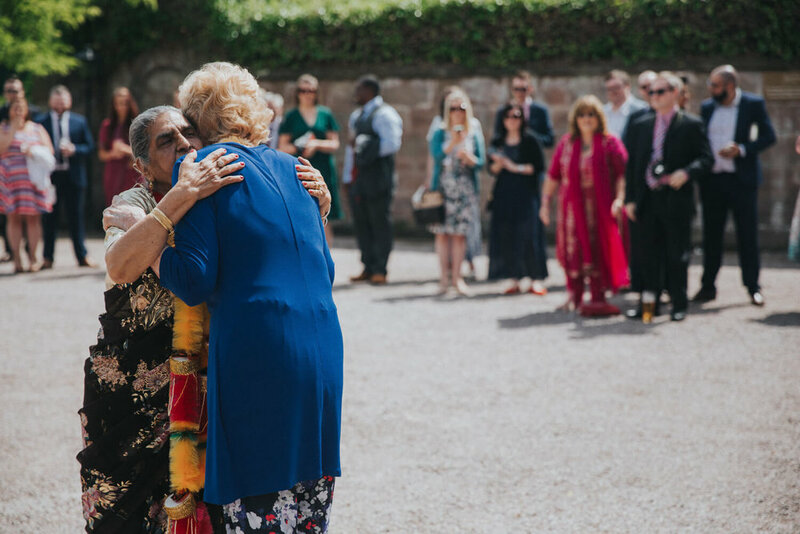 At the exchange of garlands between the two families we were privileged to capture the emotions during the coming together of families - the hugs and the tears being wept away during the ceremony told us how much this meant to everybody on the day. 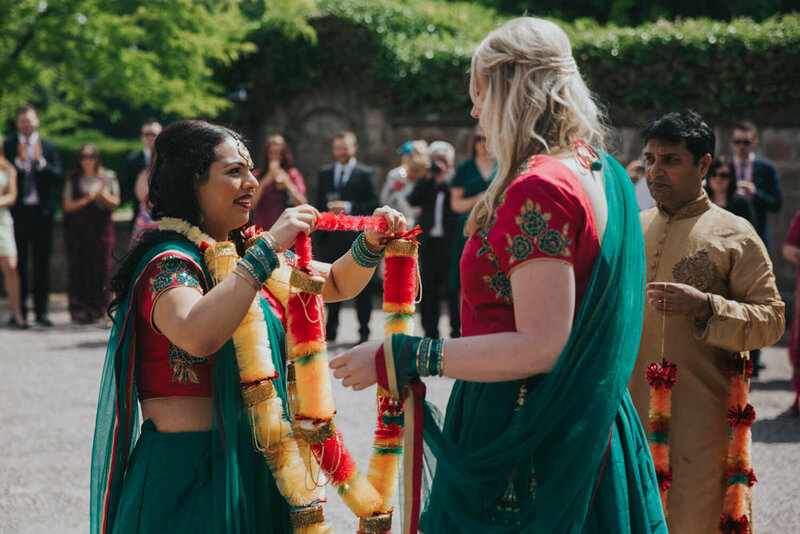 After the Milni ceremony, it was time for Louisa and Naveen to tie the knot at the first of their two wedding ceremonies. 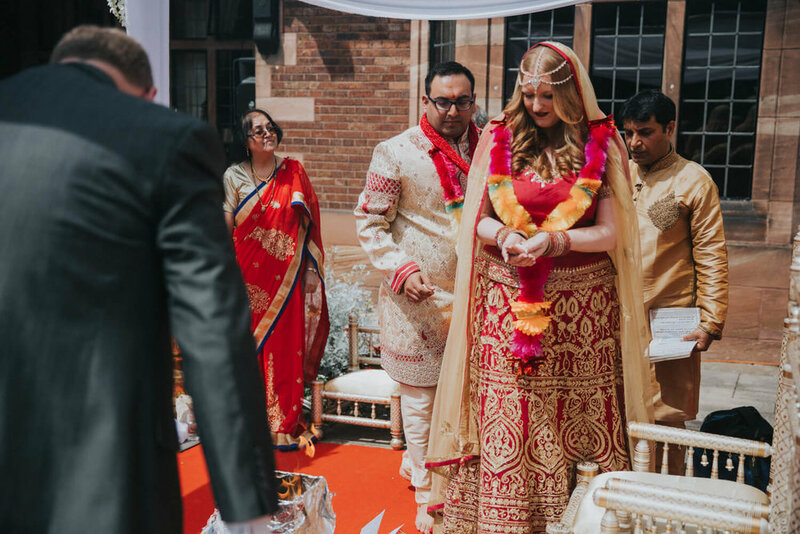 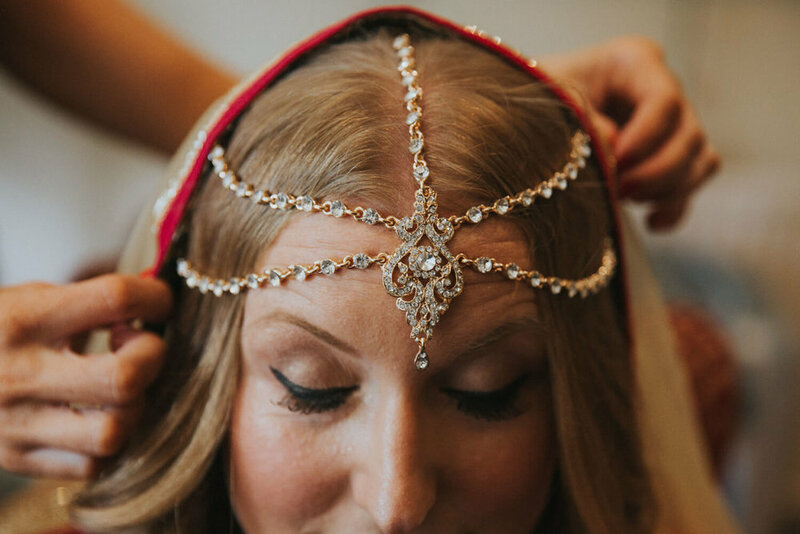 Their ceremony was a traditional hindu wedding ceremony performed outside on the terrace of Inglewood Manor, with prayers being said before Louisa and her dad walked down the aisle together. 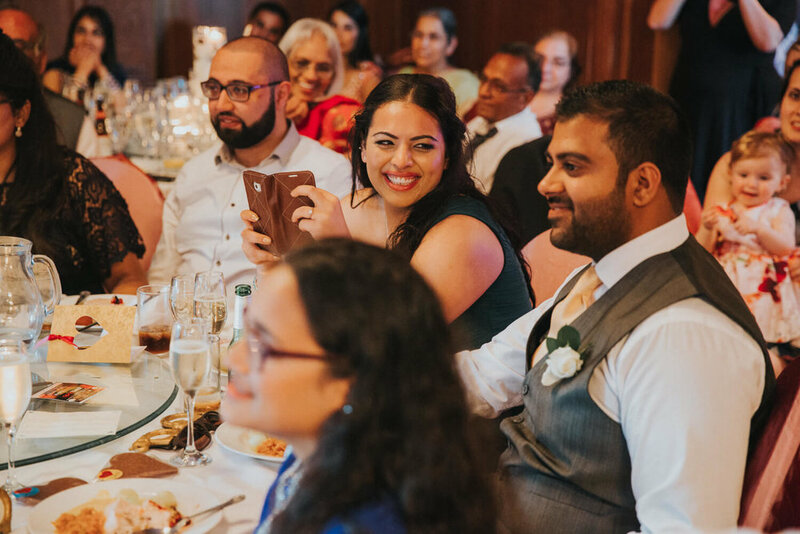 Together we captured every important moment during the ceremony and absolutely loved every minute of it. 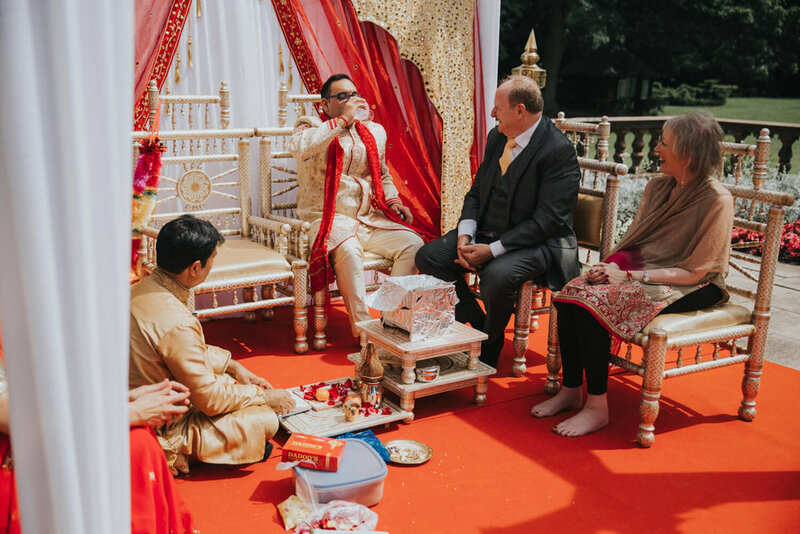 There are so many moments to capture during the ceremony that it made documenting their hindu wedding ceremony really enjoyable. 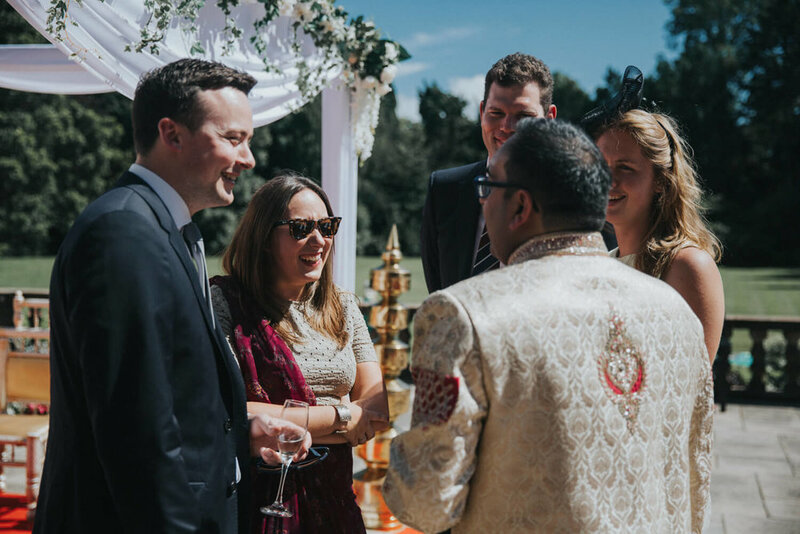 After the ceremony we orchestrated group photos before we were then treated to some amazing traditional Indian cuisine by Eurocaterers served on Inglewood Manor's terrace. 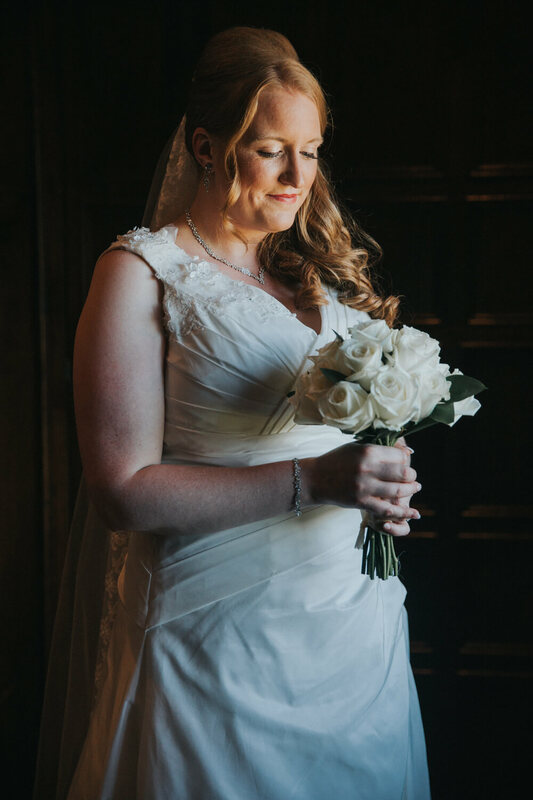 We then headed down into the Manor's gorgeous gardens for some quick intimate portraits. 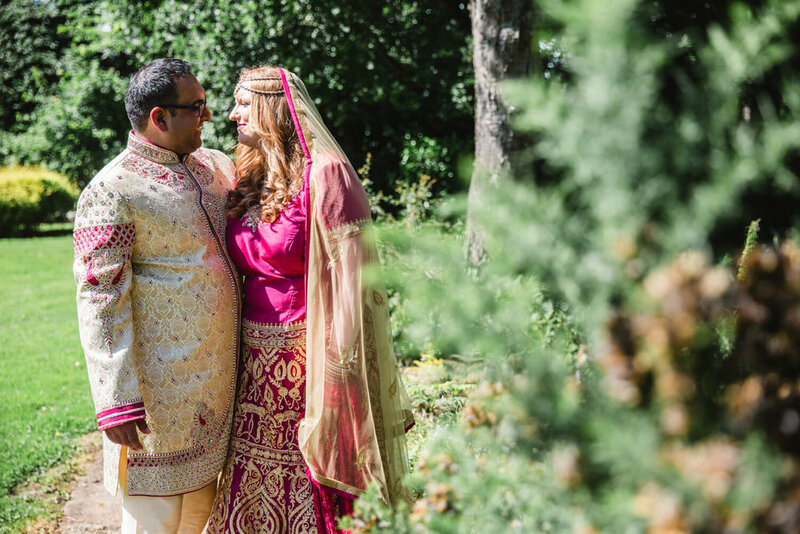 Following on from their hindu ceremony, both Louisa and Nav then got changed into their civil ceremony attire for their second ceremony of the day - again outside on the terrace of the gorgeous Inglewood Manor. 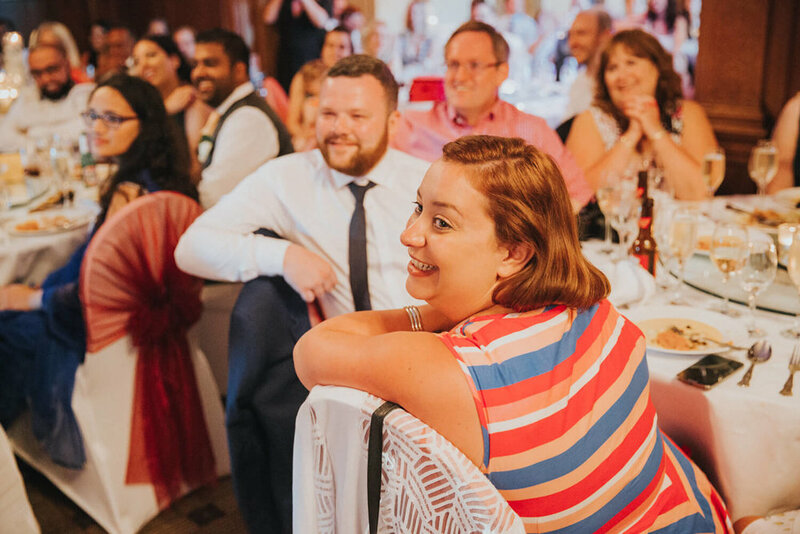 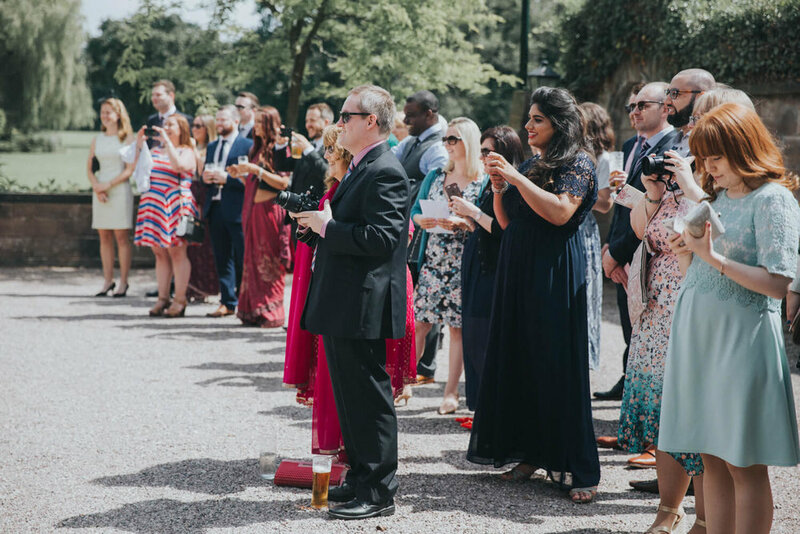 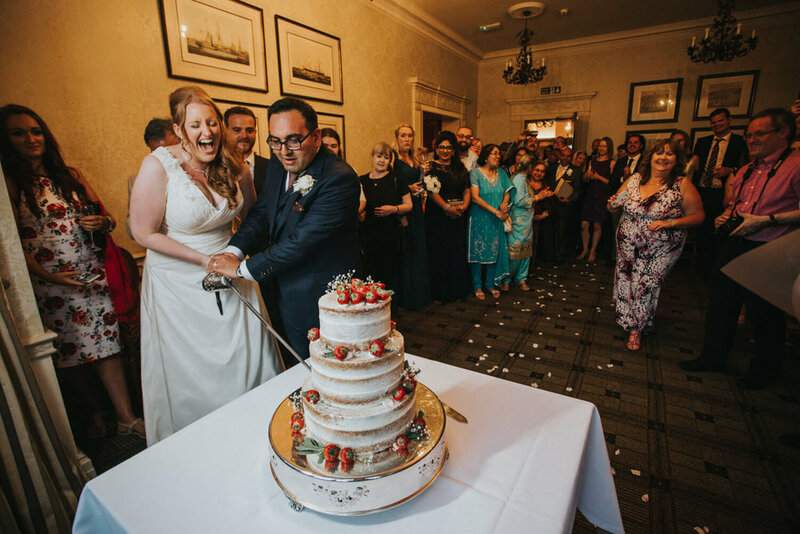 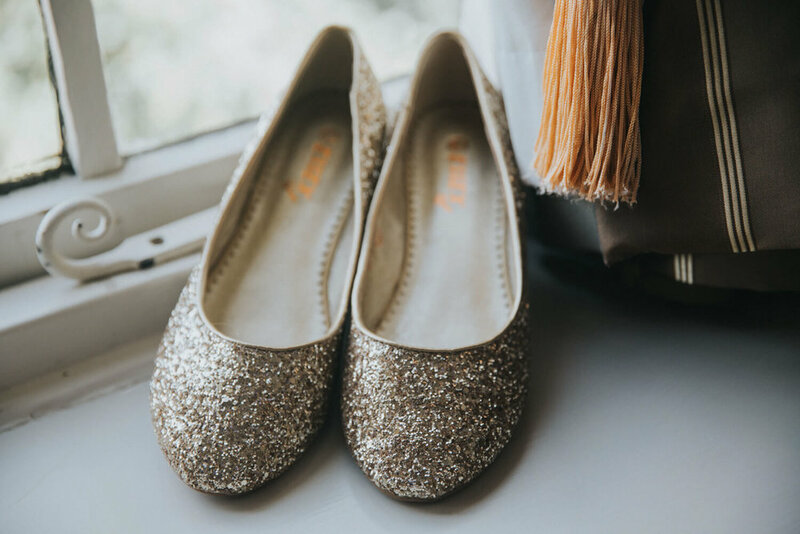 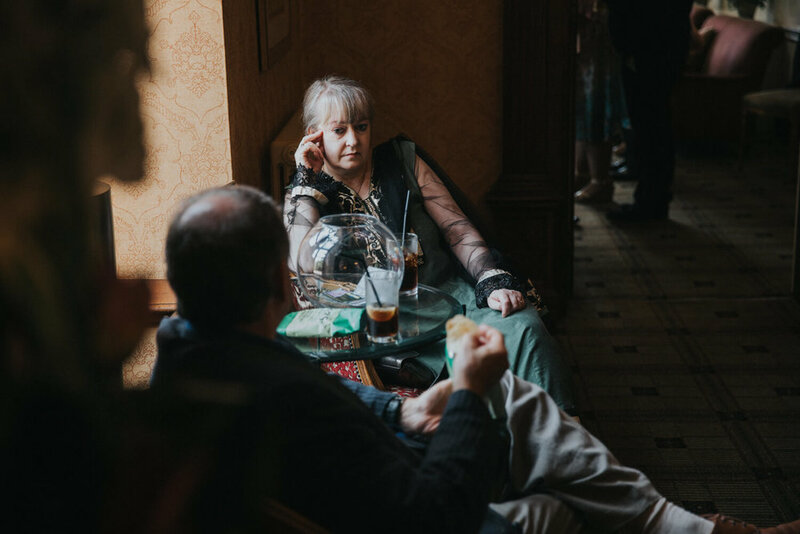 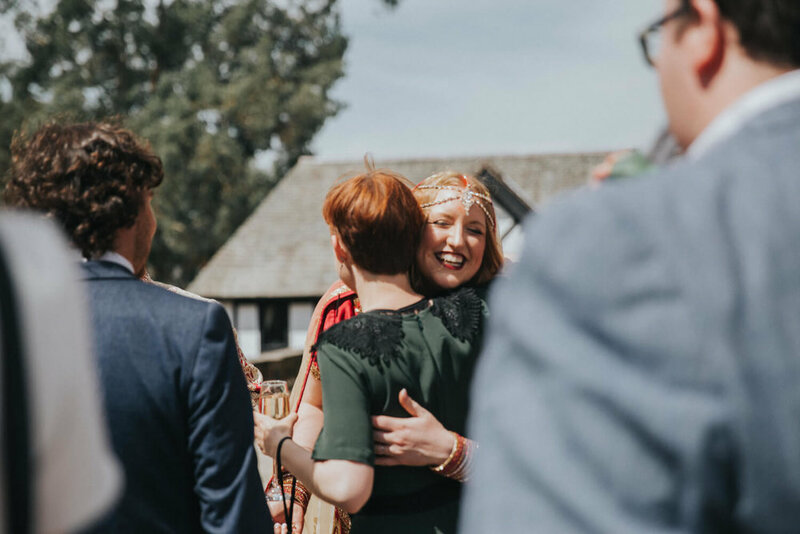 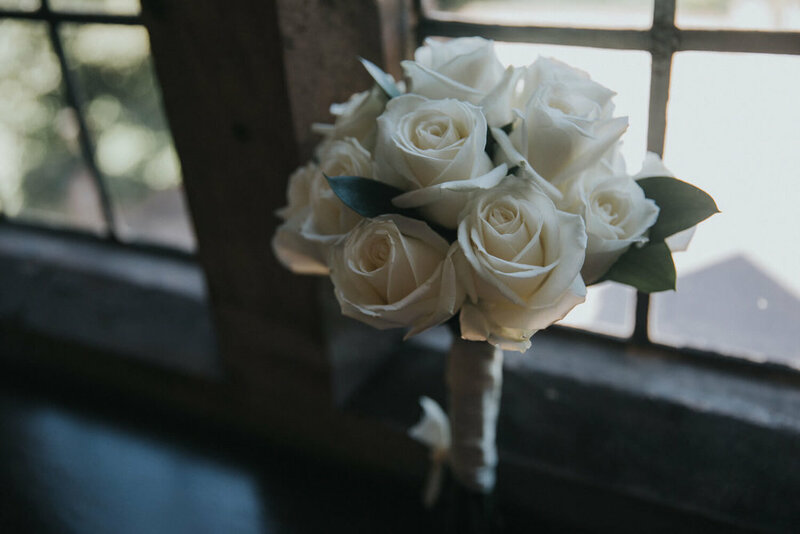 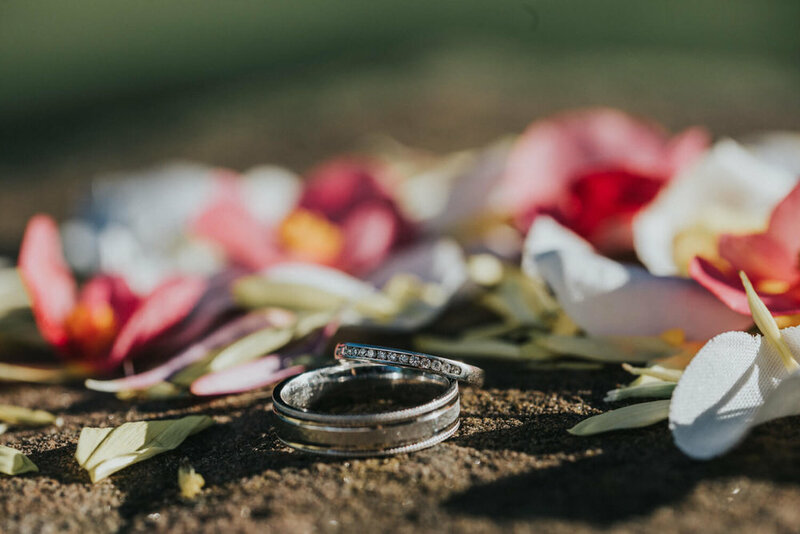 Louisa and Nav had booked our double wedding photographer package during the day, so we were able to document both sets of preparation (Stephen with Louisa, Emma with Naveen), along with double the documentation for their two ceremonies and the evening's partying! 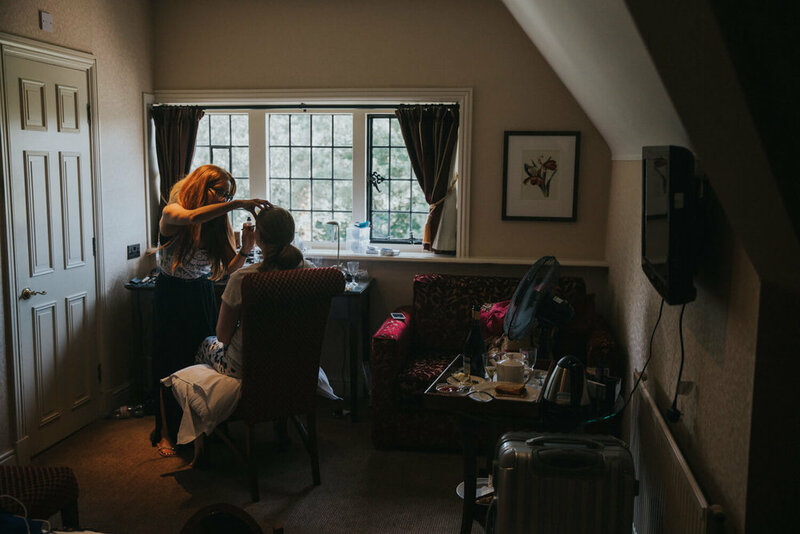 Sharron Murray (Ta Dah Hair and Make Up) worked her make up and hair styling magic during the day and once ready I captured some gorgeous portraits of Louisa in the bridal suite before the beautiful bride linked arm in arm with her dad who escorted her down the Manor's featured double staircase and outside to the ceremony where Nav was nervously waiting. 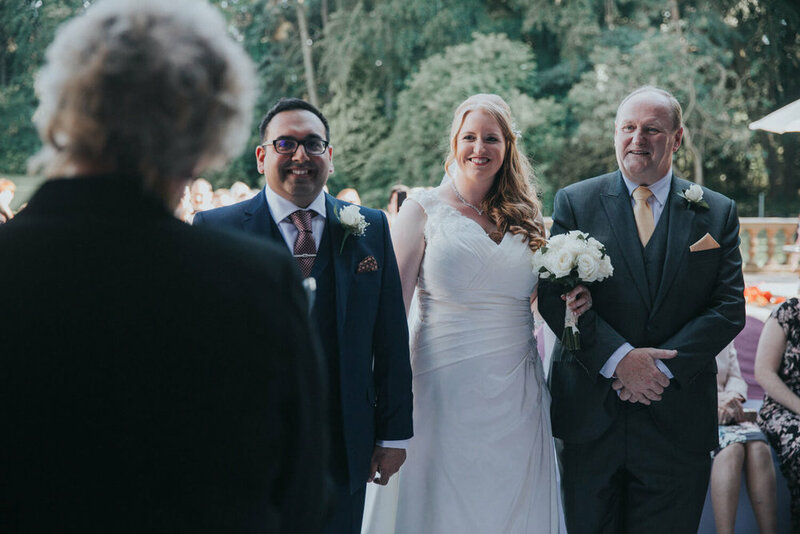 The ceremony itself was gorgeous and full packed with emotion. 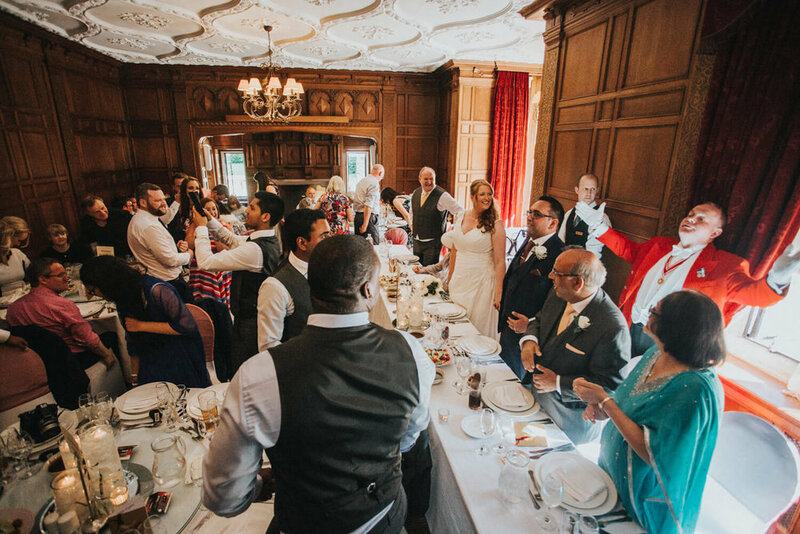 Tears were held back by both bride and groom whilst vows were being said before they sealed their love with a kiss and were proclaimed man and wife. 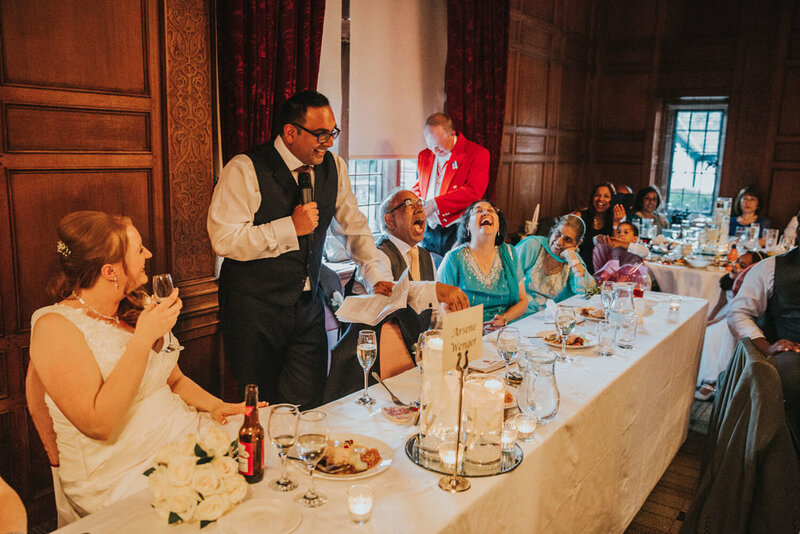 After the ceremony we were treated to some brilliant wedding speeches from Louisa's dad, Nav and his best men; they really brought the house down and it was brilliant to capture everything on camera - even Nav receiving a letter from Arsene Wenger! 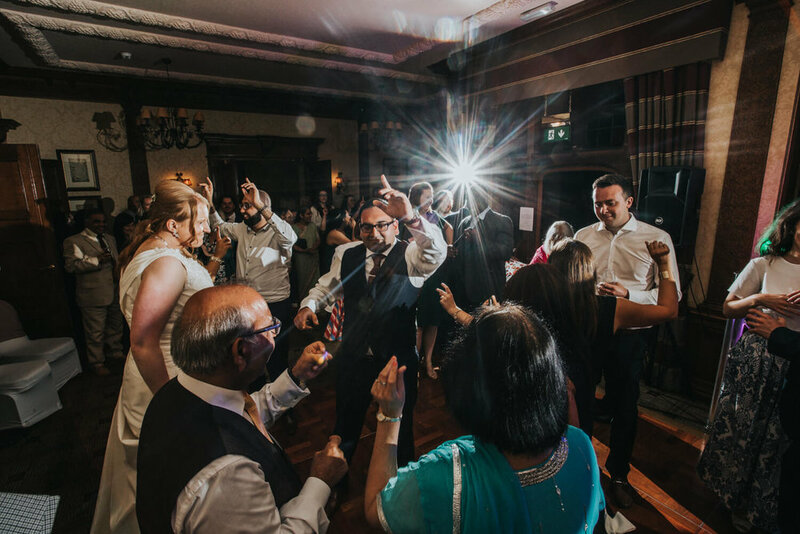 In the evening it was full on party mode, literally everybody was up on the dance floor, it was a full-on party! 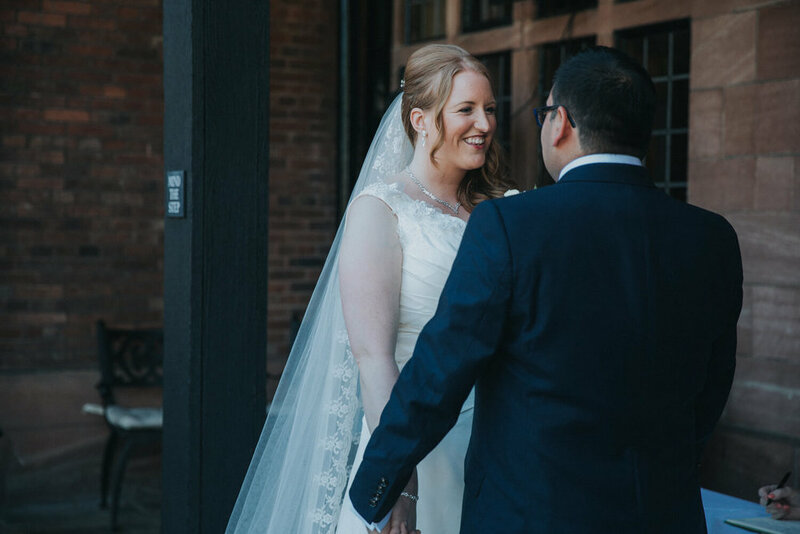 Once Louisa and Nav needed a bit of a break we decided to explore the garden at night for some nice portrait shots using some of the garden's gorgeous features such as the pillared ivy walkway and a nicely lit lamp post area to the front of the hall. 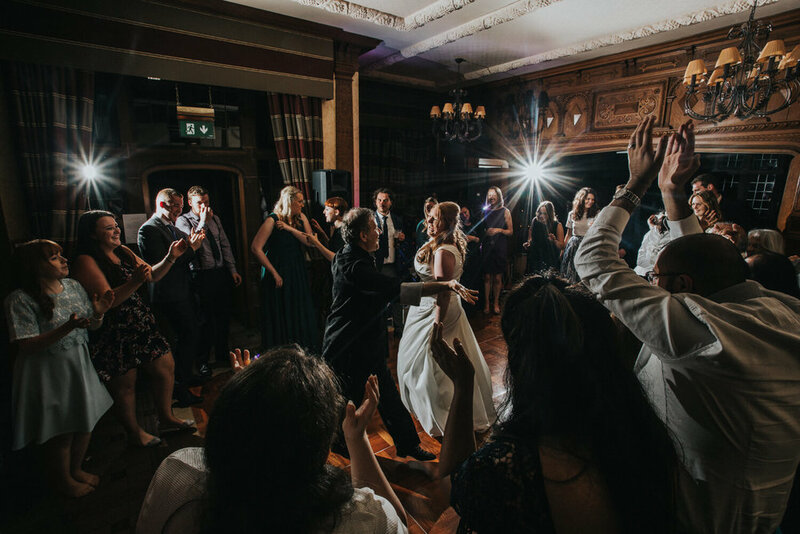 Before the end of the night we set of a couple of smoke grenades to really capture some signature wedding shots which completed the day with a bit of flair!